Do you realize that your Social Security number (SSN) is one of the most valuable pieces of personal information you have? 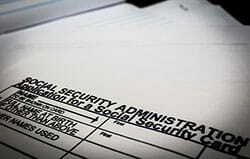 You need an SSN to apply for jobs, get a loan, open credit card accounts, file tax returns, receive government benefits, buy a house, and much more, so it’s vital that you keep your Social Security card and number safe. If you find out or even just suspect that someone else is using your Social Security number, you need to take action quickly. If someone steals your SSN, you could find yourself being held responsible for a wide range of serious commitments you did not sign up for (like payments, mortgages, and even overdue accounts). If the person using your number does anything illegal, you may even have criminal charges brought against you. No matter what situation you find yourself in, you can take back control of your personal information by keeping tabs on how your information is being used, making sure it’s accurate, and repairing any damage done as soon as you notice it. The process is time-consuming and difficult, but we’re here to help you through it. Whether you find signs that your Social Security number is being misused or even if you just have reason to worry that it will be, there are some basic steps to take to both repair any damage already present and prevent further fraud. File a complaint with the Federal Trade Commission (FTC) through the website identitytheft.gov. This is our first recommended step because there, you can report the theft and receive an itemized and personalized plan for the recovery process. Even if your wallet is stolen but no fraudulent actions have occurred yet, the website can still offer you guidance and information for what to do next. 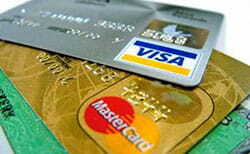 Contact the Social Security Administration (SSA) either online or via its fraud hotline to report the missing card. You can also get a Social Security Statement and review your work history to see if anyone else is using your information to work. Note that if someone is using your number, the SSA cannot resolve any financial problems that arise—you’ll have to do that yourself. Put a fraud alert on your credit accounts with a credit reporting agency (Experian, Equifax, or TransUnion), which will communicate the alert to the other agencies to prevent anyone from using your number. With a fraud alert in place, extra steps will be taken to verify the identity of an applicant if anyone tries to use your Social Security number to do something like apply for a credit card, take out a loan, open a new account, or purchase a house. An initial fraud alert lasts 90 days, but if you are sure your information has been compromised, you can put an extended fraud alert on your account for seven years after filing an Identity Theft Report. You can also request a permanent credit freeze; however, you will have to lift the freeze before you can apply for anything that requires a credit check for yourself. Placing a fraud alert on your credit account entitles you to review a copy of your credit reports. Look carefully for accounts you didn’t open or incorrect information. If you find errors, begin the process of closing fraudulent accounts, creating an Identity Theft Report, and repairing your credit. Continue to monitor your credit reports through a credit report monitoring service, or at the very least by checking your credit reports every three months. Because your information can be compromised in a number of ways, you should take additional steps depending on the details of your situation. If your Social Security card is lost or stolen, you can request a replacement card for free. You’ll need to complete an application and provide proof of identity, preferably with a U.S. driver’s license or passport. You may also need to provide proof of U.S. citizenship if you have not already established your citizenship with the SSA. You can take your application into your local Social Security office, mail it in, or in some cases, complete a request online through a my Social Security account. If your wallet or purse containing your Social Security card was stolen, file a police report immediately and be sure to include the loss of your Social Security card in your list of contents. This step provides you with additional official documentation if you need to report fraud. If your electronic tax return is rejected, or if you receive an unexpected notice in the mail from the IRS, that could mean someone else is using your Social Security number to file taxes or to work. Report it to the IRS by submitting an IRS Identity Theft Affidavit (Form 14039) and file your taxes by paper. Be sure to respond immediately to any IRS notices by calling their identity protection unit or going online as instructed. If you suspect your SSN was stolen online, you can file a complaint with the Internet Crime Complaint Center (IC3), which is run by the FBI and the National White Collar Crime Center. This is a place to report internet-related fraud, though they do not investigate the reports themselves. Instead, they pass information along to the appropriate authorities to follow up. I’m sure my information has been compromised—should I get a new Social Security number? 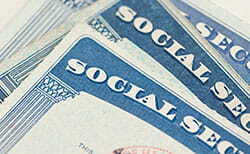 The Social Security Administration may assign you a new Social Security number in cases of ongoing fraud and misuse. However, the SSA does not generally recommend getting a new Social Security number as it can cause new problems for you. For example, if you apply for credit, it may look like your credit history is brand new. Additionally, getting a new Social Security number may not even solve the old problems, especially if your other personal information does not change. The SSA will not issue a new number unless you can prove your number is being misused and that it is causing you harm. If you decide to apply for a new number, you’ll need proof that you’re having ongoing problems with identity fraud in addition to proof of your identity, age, and U.S. citizenship or immigration status. While there is no foolproof way to prevent your identity from being stolen, using an identity protection service is a smart way to not only monitor how your information is being used but to provide some insurance in case you do become a victim of identity theft. Most identity protection companies monitor your personal information, credit reports, and financial data and provide security software and insurance against damages inflicted by identity theft. Our three top-rated companies are IdentityForce, Identity Guard, and LifeLock, and all are excellent choices. If you don’t already have identity protection for you or your family members, you should seriously consider looking into the services these companies offer. Be aware of who has your number and how it’s going to be used. You’ll sometimes have to share your number as part of an application process, so be sure to read the fine print about how your information will be stored and shared. Be wise about what information you give out online and to whom, and take note of what kind of security websites have before giving them your number. Be careful with your passwords and use security software on all your devices. Don’t send personal information out over a public Wi-Fi network, and protect your devices with lock screens. These are all very basic steps you can take, but they’ll have a big impact in giving you the basic protection and assurance you need. Remember that if you find yourself the victim of identity theft, even in spite of your precautions, you have the power to fix the situation and repair the damage. Monitoring your personal information, contacting the necessary agencies and companies, and repairing the damage may be a long process, but it will be worth the restored security it gives you.